Are you wanting to learn more about lavender essential oil? Are you looking for some great lavender essential oil uses and benefits? You are sure to be a lavender fan (if you aren’t already;) after reading this! 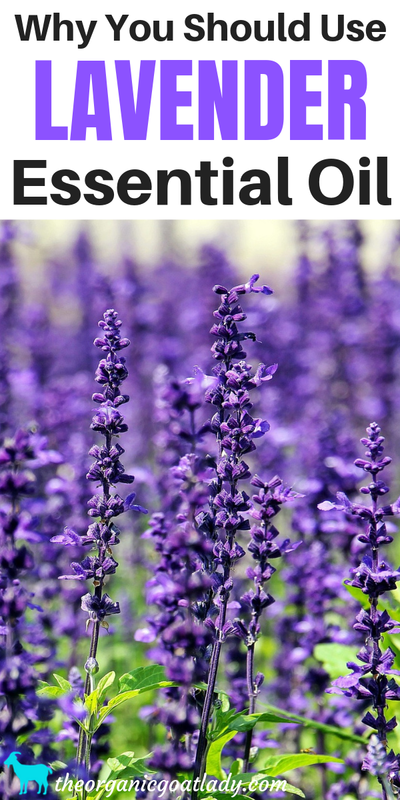 Why You Should Use Lavender Essential Oil! Most people, even those that don’t know much about essential oils have heard of Lavender essential oil. Lavender was one of the first essential oils that I learned about when I first started my Aromatherapy training. It is such a wonderful oil because it not only smells amazing, but it is one of the most versatile oils there are! And it’s good for almost everyone! First let’s look at the scientific name of the lavender that I use. What is Lavender and where does it come from? The lavender plant is a beautiful, purple flowered plant. The flowers range in color from pinkish to vibrant purple. It is native to Mediterranean countries such as Spain, France, Italy, and Croatia. It is shaped like a shrub and can grow to be somewhere between three and seven feet tall. Lavender essential oil is steam distilled from the flowering tops of the lavender plant. It takes about 100 pounds of the plant to create about 1 pound of oil. The flowers are also commonly used to make herbal teas and for culinary uses as well. According to Be Young Total Health, lavender should be grown at a high altitude in order to provide the best beneficial constituents found in wild-crafted plants. Lavender has a floral, clean scent. Lavender is a scent that is familiar to many as it is used to make lavender scented candles, perfumes and skin care items. It has been used for it’s wonderful aroma for thousands of years. It’s scent is also used in many aromatherapy blends because it blends well with pretty much every other essential oil. Lavender is derived from the Latin word Lavare which means “to bathe” or “to wash”. Lavender’s history goes back thousands of years. In ancient Rome & Greece it was used in bath water and for cleaning as a fragrant perfume. In ancient Egypt lavender was used during the mummification process. And during the 17th century during the black plague it is said that those that lived in the center of the lavender trade were spared from the illness. Supposedly those that were daily exposed to the aroma of lavender received protection from the plague. So now that we’ve discussed name, origin, scent and a few history facts let’s delve right into what lavender is used for and how it will benefit you! According to Be Young Total Health, Lavender’s traditional and alternative uses include: calm stress, acne, canker sores, antibacterial, headaches, head lice, skin inflammation, colic, and so much more! I personally Love to diffuse lavender essential oil! It is a wonderful choice for diffusing. When inhaled lavender essential oil is said to be very calming and relaxing. 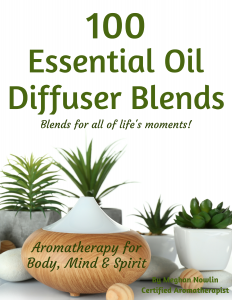 I include lavender in many of my diffuser recipes that can be found in the 100 Essential Oil Diffuser Blends eBook such as Be Calm and Let it Go. The eBook also includes many recipes for cleaning, children, pets, home, etc. that contain lavender as well. Recipes such as Pet Odor, Happy Baby, Children’s Bed Time Blend, and Bathroom Deodorizer. According to JennScents Institute’s Introduction to Holistic Aromatherapy, Lavender is also helpful for insect bites, skin irritations, hair growth, insomnia, and can have a calming effect on the nerves. I also love to use lavender in the bath after a stressful long day. You can learn more about using essential oils such as lavender in the bath in my post How to Use Essential Oils in Bath Water. And 20 of the Best Essential Oils to Use in the Bath. Lavender is also commonly used by massage therapists for it’s relaxing qualities. Just thinking about a lavender massage makes me feel relaxed:) As I mentioned earlier lavender is used in many beauty products. A lavender spa day sounds pretty good doesn’t it? Dr. Kurt Schnaubelt, in his book The Healing Intelligence of Essential Oils, says that over 1,200 components have been identified in Lavender essential oil, making it a very effective oil for many things. He also states that Lavender has an “unrivaled ability to heal burns”. You can find even more amazing qualities of Lavender in his book. It is definitely a must read for the EO enthusiast. Also in Dr. Schnaubelt’s book Advanced Aromatherapy, he says that “one or two drops of lavender oil about fifteen minutes before a meal will noticeably reduce the appetite”. Another great essential oil source is Valerie Ann Worwood’s book The Complete Book of Essential Oils & Aromatherapy. In this book Valerie states that every home should have a bottle of lavender, and I couldn’t agree more! She states that due to it’s effectiveness with burns and scalds, lavender is a must! She also lists lavender as being immune stimulating and excellent for scars. I personally use lavender in my Scar Reducer Salve, which I and many others have had amazing results with! I love to include lavender in lots of skin care products. It’s such a great oil to include in a skin care routine. I also use lavender in my kid’s hand sanitizer spray, my relaxing linen spray, and my skin softener lotion. Just thinking about it makes me wish I were in bed with the smell of the linen spray on my pajamas and sheets;) So relaxing! Another personal favorite of mine is using lavender for my kids. My son especially loves the smell of lavender and asks for it particularly! He says it’s his favorite oil! I use it in my Children’s Bedtime Massage Oil, and the Night Fright Spray. What a wonderful oil to help kids relax and to get a great nights sleep! There are not many known contraindications for lavender EO. A contraindication is a medical reason for not using something. In this case it is a medical reason for why you should not use lavender. Lavender is considered safe for most people, however there are exceptions. It might be wise to not use lavender during or after surgery, as it could possibly slow down the central nervous system too much. Stop using lavender at least two weeks before a scheduled surgery. There are also certain medications that lavender should not be used with. Be sure to consult your doctor if you are taking medications to be sure that lavender, or any oil, is safe to use. This includes, but is not limited to, Chloral Hydrate, high blood pressure medications, and sedative medications. You also want to make sure that you are using a good quality Lavender. There are no government regulations on essential oils, so an oil can be diluted by up to 50% and still be marketed as a pure oil. It can be diluted with a carrier oil, or with a synthetic substance and still be called pure. How scary is that?! Definitely not something I want to use in my products or for my family! You have to be so careful when choosing your brand. So make sure that you know and trust your source. If you have a brand that you feel confident in you can use that. 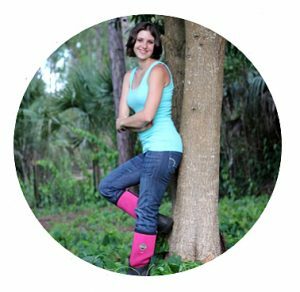 If you aren’t sure about where to get Lavender, or if you would like to check out the brand that I use, you can find it on my business website Healing Blends For Life. I hope you enjoy Lavender as much as I do! Also please come back after using Lavender and comment below with your opinion of the oil! What do you like most about Lavender essential oil? Do you enjoy the smell as much as I do? Did you experience any results after using Lavender? If so what were they? Do you have any additional uses to add to the above list? 12. Why You Should Use Nutmeg Essential Oil!